and then for some reason I found myself going through my patterns. Nothing like a little impulsive "me time sewing". 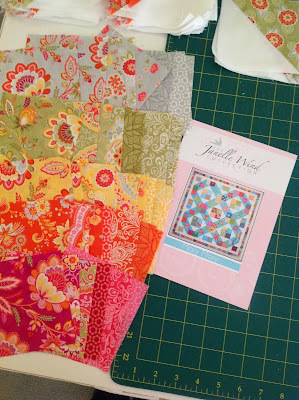 These fabrics were originally purchased to make a bag with so I didn't quite have enough of the yardage to replace the Aqua that's shown on the cover photo so I decided to substitute both the orange and green in. 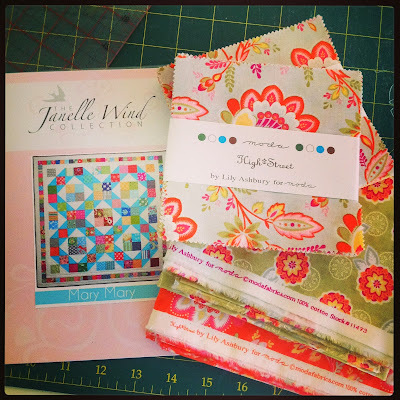 The fabrics in this range are so beautiful and bright. Just the therapy I needed to finish off this week. replacing the Aqua solid on the pattern cover. This is what I was up to when Lily decided she wanted lunch! Trimming the HSTs as I went. 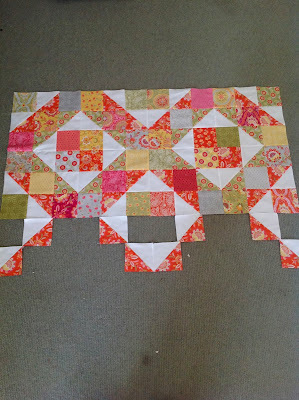 I have omitted the final pieced border as I only have enough fabric left for a scrappy binding. I may make an impulsive purchase and get the fabric for the next pieced border. 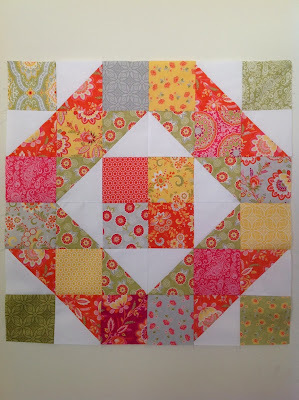 I already have quilting ideas floating around. 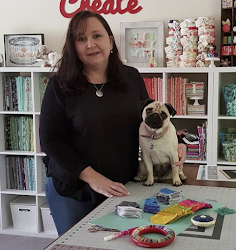 Love your fabric choices Sharon. Wow I envy your sewing pace, you go girl !! 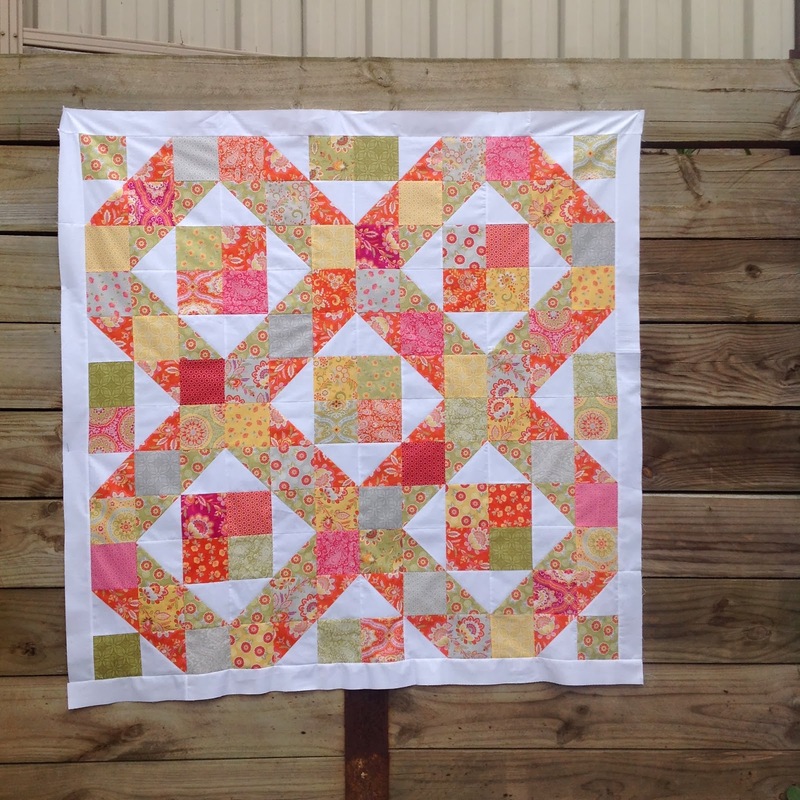 Not only did you get a quilt top made, you took photos and blogged about it! 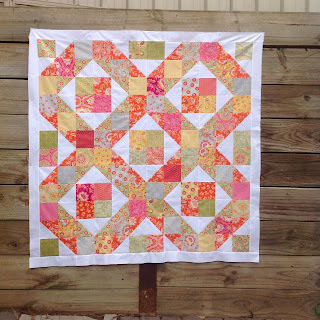 Would you consider doing a solid border in orange and/or green? So pretty! Love your choice of fabrics! 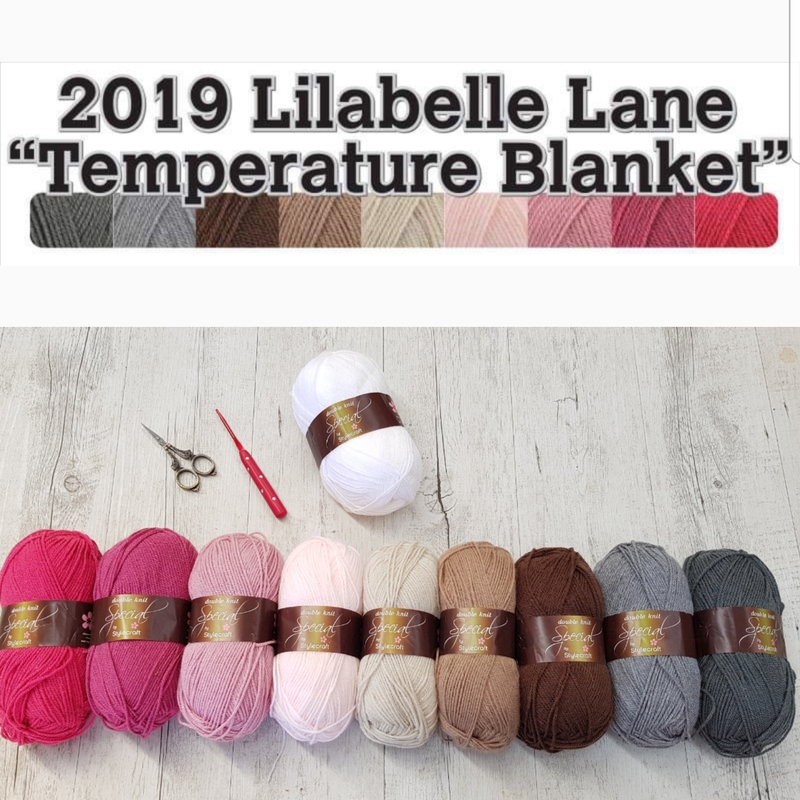 Thanks for the link for the pattern. Love this one Sharon, gorgeous fabric..
Wow, you certainly had a productive day! 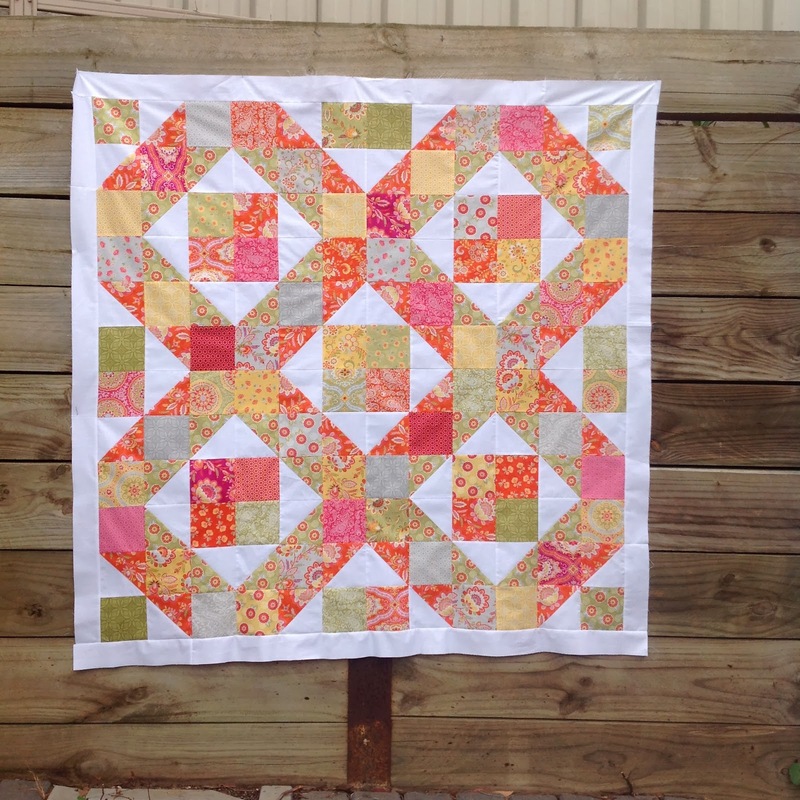 Love the quilt design and the colours you used.